Yeah! 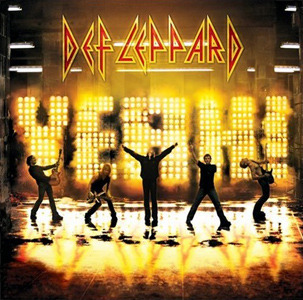 is an album of cover versions of 1970s rock hits, recorded by Def Leppard. It's the first cover album by the band. It was originally to be released on September 20, 2005, but it was announced on March 31, 2006 that the album would be released on May 23, 2006. The album was delayed numerous times and was met with extremely mixed reviews upon its eventual release.The album charted at #16 on The Billboard 200 and #52 on the UK Albums Chart.